Directed by Jason Hehir (The Fab Five, The ’85 Bears, Andre the Giant) and produced by Mike Tollin, the anthology will chronicle the simultaneous rise of Jordan and the Chicago Bulls and the popularity of the NBA during the 1990s. The docuseries, made with the full participation of Jordan and other key figures from the Bulls’ championship teams, features more than 500 hours of never-before-seen footage from the’s team’s championship run in the 1997-98 season, along with commentary from dozens of other sports luminaries. Directed by Academy Award-winning filmmaker Juan Jose Campanella, “The Golden Generation” tells the remarkable story of the once-in-a-generation Argentinian basketball squad that brought down “The Dream Team” and won gold at the 2004 Olympic Games. Watch on The Olympic Channel. This FS1 documentary chronicles one of the most iconic moments in sports history: Kirk Gibson’s walk-off home run in Game 1 of the 1988 World Series. On two injured legs, Kirk launched his Dodgers to a 1-0 series lead, and they’d go on to win the series in five games. The second installment of The Olympic Channel's Five Rings Films series, "The People's Fighters" tells the story of Cuban boxing. Over the past 50 years, Cuba has produced more Olympic boxing medallists than any other country on the planet. “The People’s Fighters” spotlights the legendary careers of gold medallists Teofilo Stevenson and Felix Savon, the triumphs and challenges faced by Cuban boxing, and the rising local talent paving a future for the sport today. Watch the film on the Olympic Channel here. The first film in the Olympic Channel's Five Rings Films series, "The Nagano Tapes" tells the inspiring story of the 1998 Czech hockey team. In the first Olympics Games to feature NHL players, the Czechs defeated the United States, Canada, and Russia en route to an unlikely gold medal. Morningside 5 spends twenty-five years in the lives of the starting five from the 1992 Morningside High School (CA) basketball team. The documentary aired on ESPN August 8, 2017. Watch the trailer here. This feature-length, Netflix Original Documentary explores the waning popularity of boxing in the United States, as it follows three fighters at various stages of success. The film premiered June 15, 2017 at the LA Film Festival and is now available for streaming on Netflix. 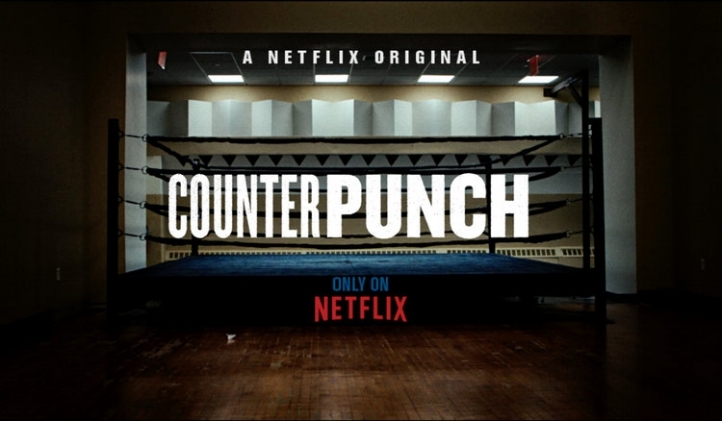 CounterPunch was nominated for an Emmy Award in the category of Outstanding Long Sports Documentary. This 2015 HBO documentary captures the extraordinary life of the NBA's all-time leading scorer. From his beginnings in New York City, to his dominance at UCLA, to his record-breaking professional career, through his modern role as a strong cultural voice. Kareem: Minority of One was nominated for a 2016 Producers Guild Award in the category of Outstanding Sports Program. Read more at HBO. From the first season of ESPN's 30 for 30 series, this film explores the beginning and end of the NFL's most formidable challenger: The United States Football League. After premiering at 2014 Tribeca Film Festival, this Showtime documentary charts the tumultuous life and career of basketball legend Allen Iverson, told largely in his own words. From a turbulent childhood of crushing poverty in Virginia, to the infamous bowling alley brawl, to his iconic NBA stardom in Philadelphia, Iverson follows the journey of basketball's most misunderstood all-star. The first documentary in Sports Illustrated's "SI Films" series, Patrick & Zo examines the moments that defined the long friendship, fierce rivalry, and Hall of Fame careers of two iconic centers. The NBA Summer League is the launching pad, the laboratory, and for some, the last stop for a career in pro basketball. Set in the ultimate fantasyland, Las Vegas, it's the place where hoop dreams are hatched – or crushed. 'Summer Dreams' details the the meat market for ballers, and pulls back the curtain on one of the most unique environments in sports. The two-hour documentary aired on CBS in 2014. A look behind the curtain of the most watched musical performance in history, this documentary shows what it takes to conceive, develop, and execute a twelve minute concert on the world's biggest stage. Katy Perry: Making Of The Super Bowl XLIX Pepsi Halftime Show premiered at the 2015 La Costa Film Festival. The fabled past of this iconic college basketball powerhouse is examined and reflected upon by some of the program's most notable figures, including Pat Riley, Jamal Mashburn, Michael Kidd-Gilchrist, Joe B. Hall, and John Calipari. The documentary aired on TruTV in 2013.